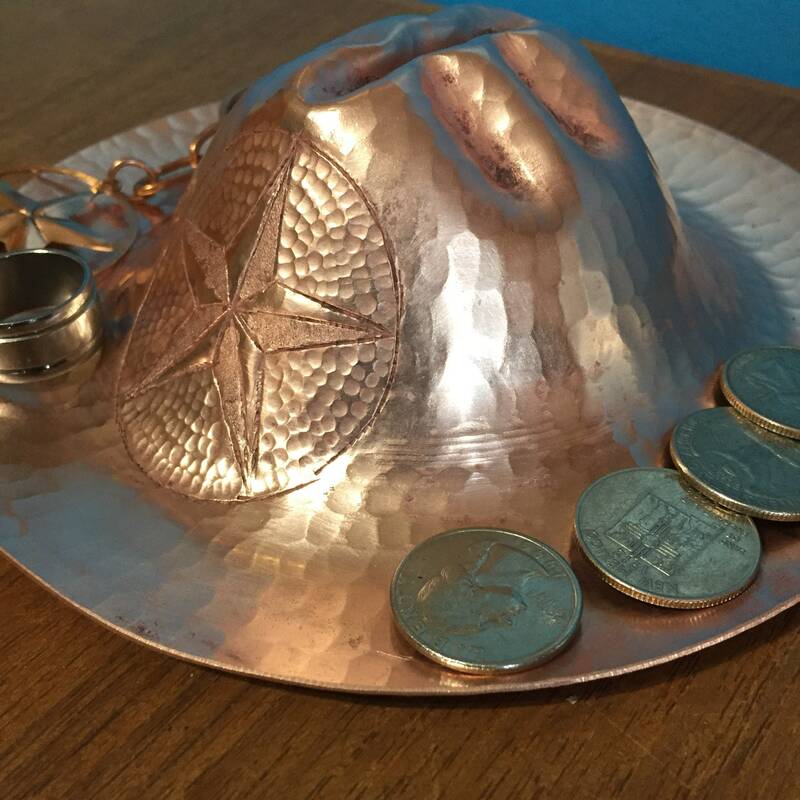 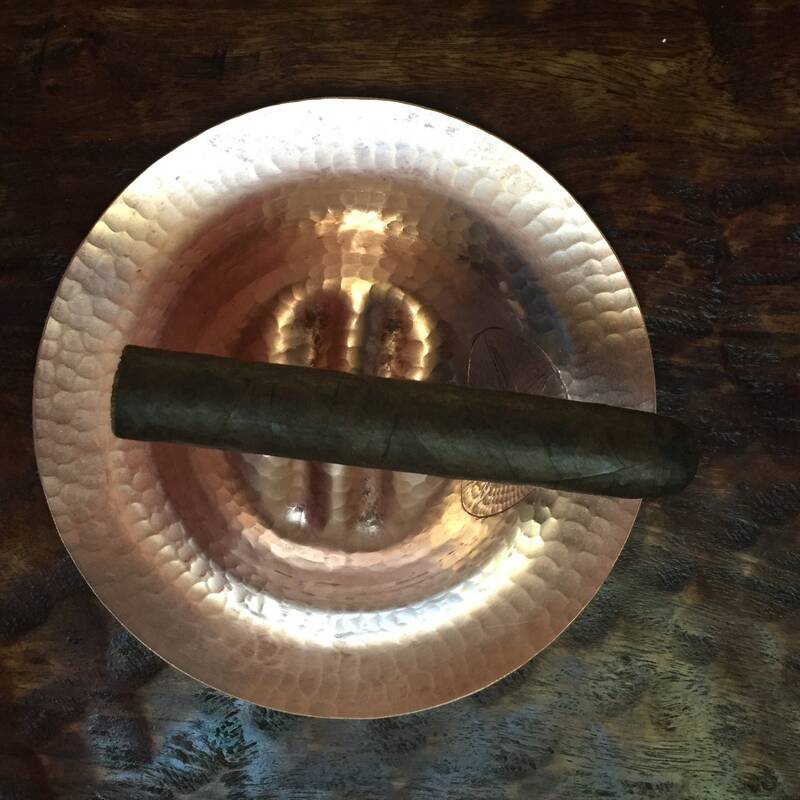 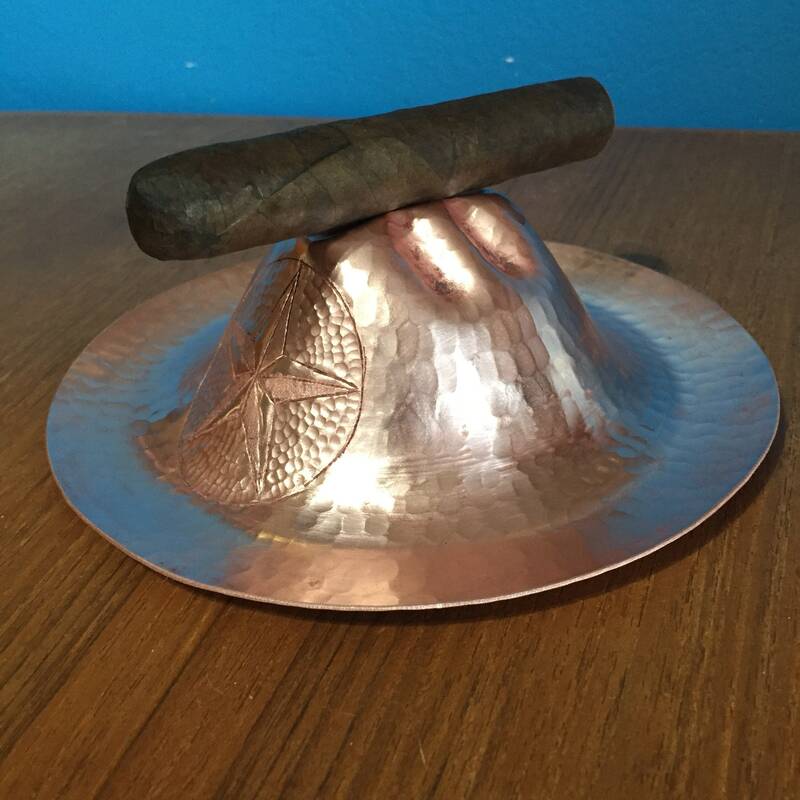 Handcrafted hammered copper cowboy hat ashtray/catchall tray (7"diameter x 2" high). 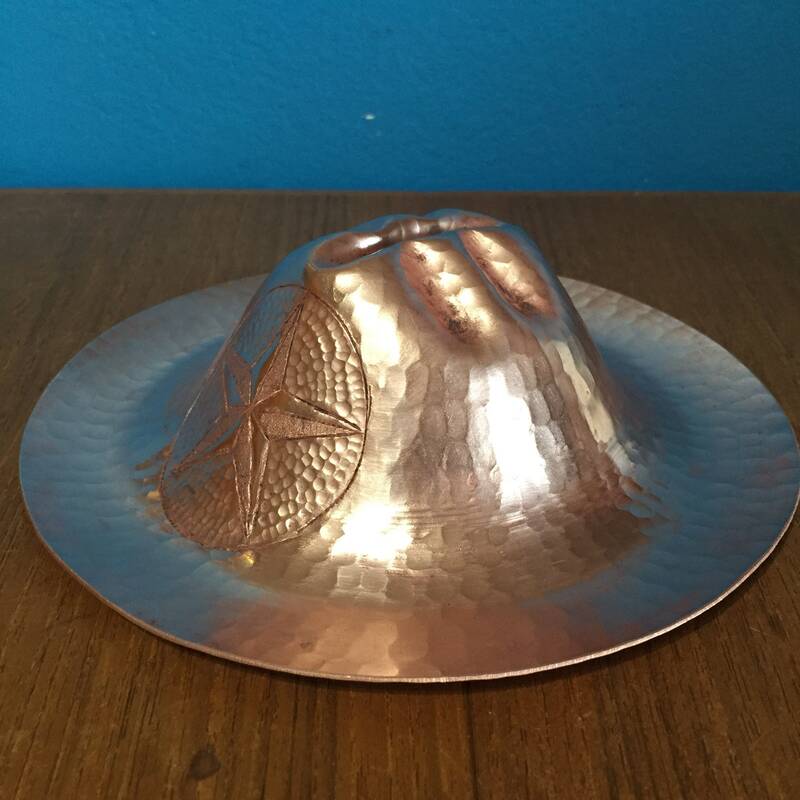 100% pure copper. 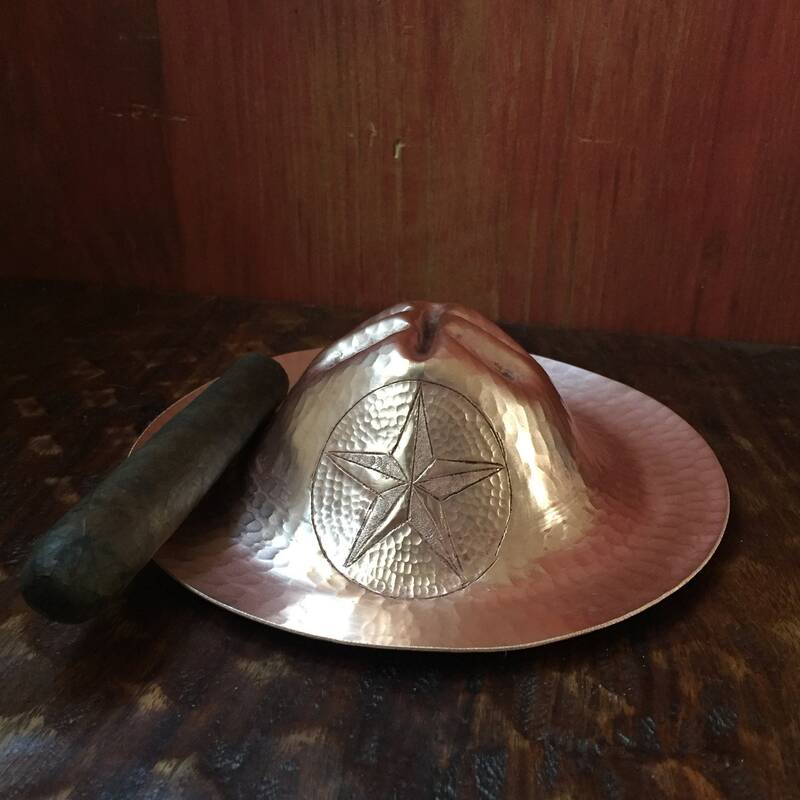 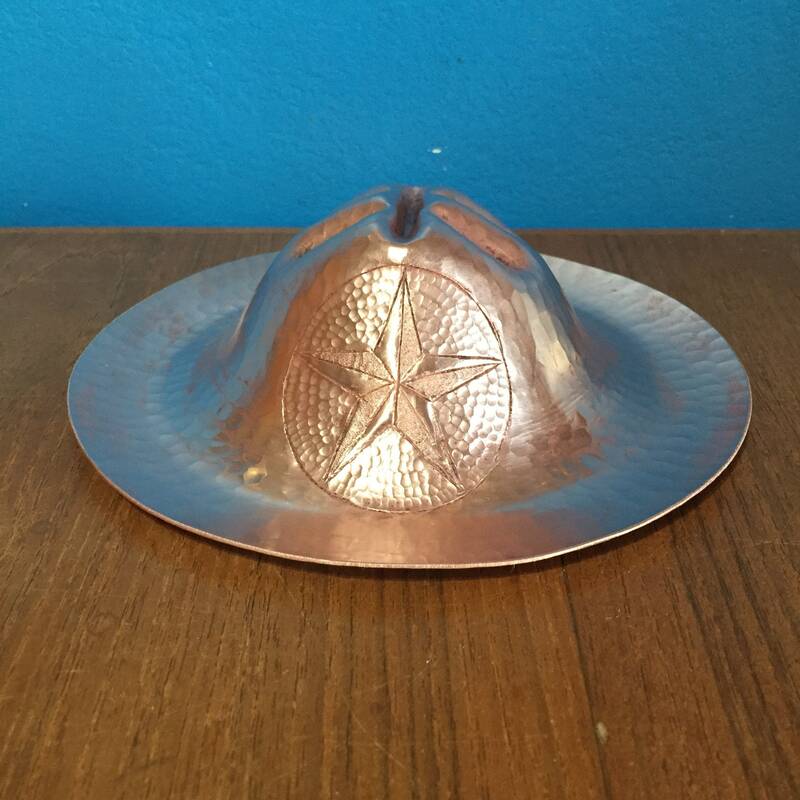 Hand hammered into the shape of a sombrero / cowboy hat and hand engraved w/ Texas star. 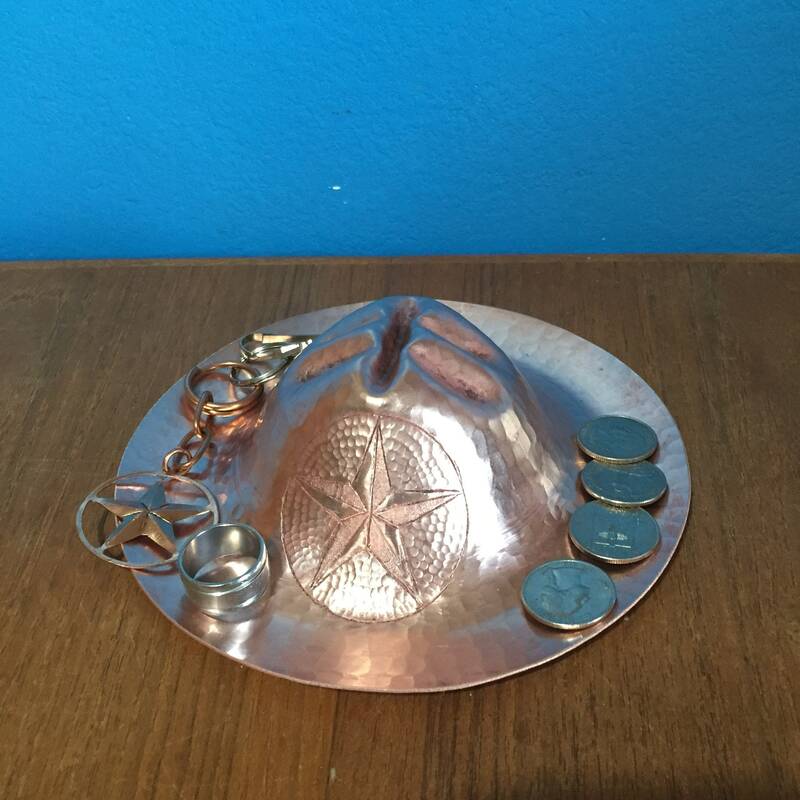 Perfect as an ashtray, candy dish, or a tray for coins or keys. 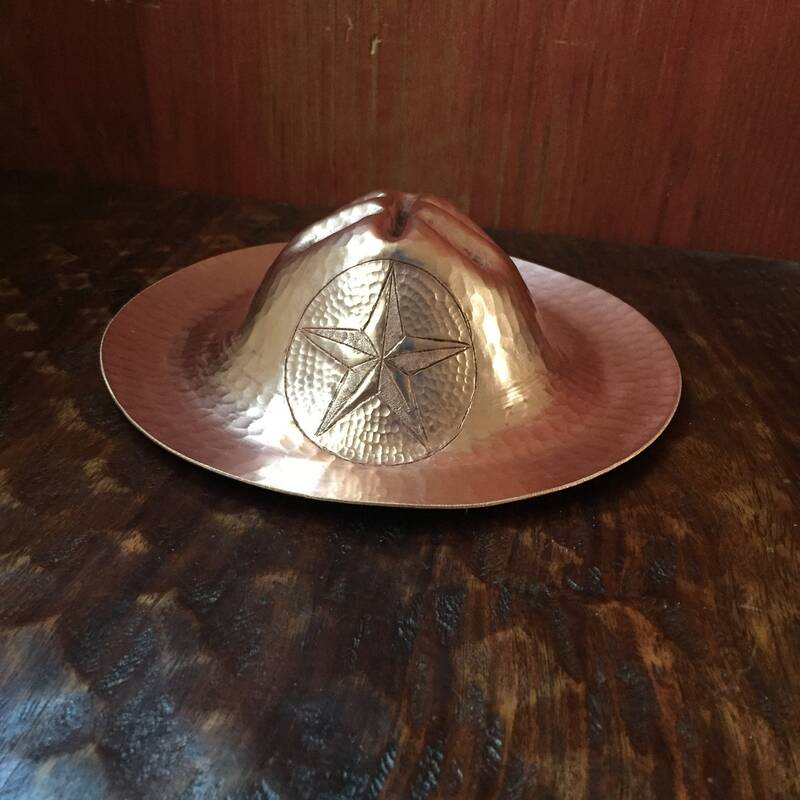 We can customize these with hand engraved logos.